Tucked away in the heart of Matlock, Stones is a cosy and eclectic restaurant. 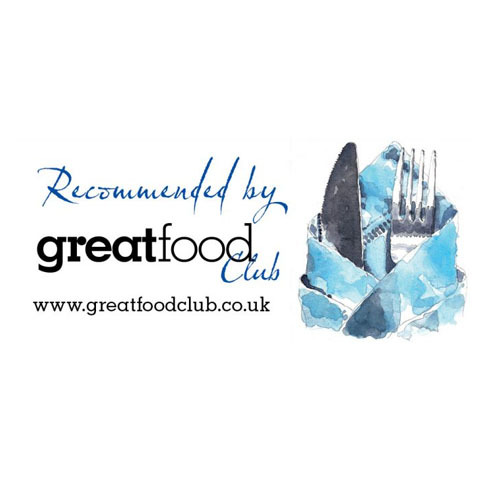 Above all, we hope to provide a stylish, welcoming decor and a superb modern British menu. Stones is run by Head Chef Kevin Stone, wife Jade and sister Katie Temple. 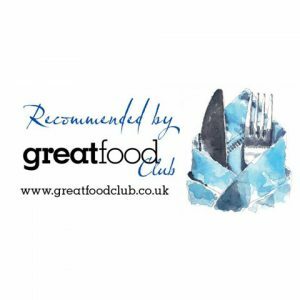 Our aim is to provide a fantastic dining experience in a relaxed setting. The dining room is popular with couples, locals and visitors alike, offering a perfect place for romantic, family or business meals. We also have a beautiful riverside terrace, where you can relax, dine and unwind with a glass of wine from our extensive wine list. We offer a set menu at lunch and dinner alongside a Tasting Menu. We also offer a bespoke vegetarian offering. Our menus change regularly to reflect the very best in seasonal and local produce. You can join us at Stones for lunch 12-1.30 Wednesday to Saturday and for dinner 6.30-8.30 Tuesday to Saturday. Fridays and Saturdays are particularly busy, we would advise booking ahead if possible. To keep up to date with our new menus, news and events, join our mailing list by clicking here. If you would like to contact us directly, please call us on 01629 56061. Please note, during service we are often busy and may not be able to answer the telephone. Please do leave a message and we will call you back as soon as possible. To make a booking, you can use our form or contact us at info@stones-restaurant.co.uk. If emailing, please provide your name, email address, contact number, date, covers and time required. Please also include any dietary requirements or other requests. Stones lies on Dale Road in the view of Matlock Bridge. Due to our beautiful location, we are unable to offer off-street parking. The best option is to park at the nearby Matlock Train Station, a little further along Dale Road, there are almost 200 spaces. The charges, at the time of writing, are 0-1 hours £1.30, 1-2 hours £2.20, 2-3 hours £3.30, 3-4 hours £4.40. All day £5.50. The train station car park is just £1 after 6pm in the evening. Due to our riverside location, there is no disabled access to Stones restaurant. Access is down stone steps, so please be aware and careful. Stone’s Tasting Menu offers eight wonderful courses marrying our house style to the season’s best ingredients. This menu is available Tuesday to Saturday evening and must be taken by the entire table. A lovely relaxed lunch by the river. Our inspector enjoyed the delicious breads and the seared mackerel in particular! Negotiate the steep steps down to this small riverside restaurant and head for the front room with its floor to ceiling windows. Unfussy, modern British dishes are attractively presented and display the odd Mediterranean touch. The restaurant is light, airy and elegant. It’s small but doesn’t feel cramped. Not only is it perfect for romantic date nights and family occasions, it’s also an impressive spot for a business lunch.